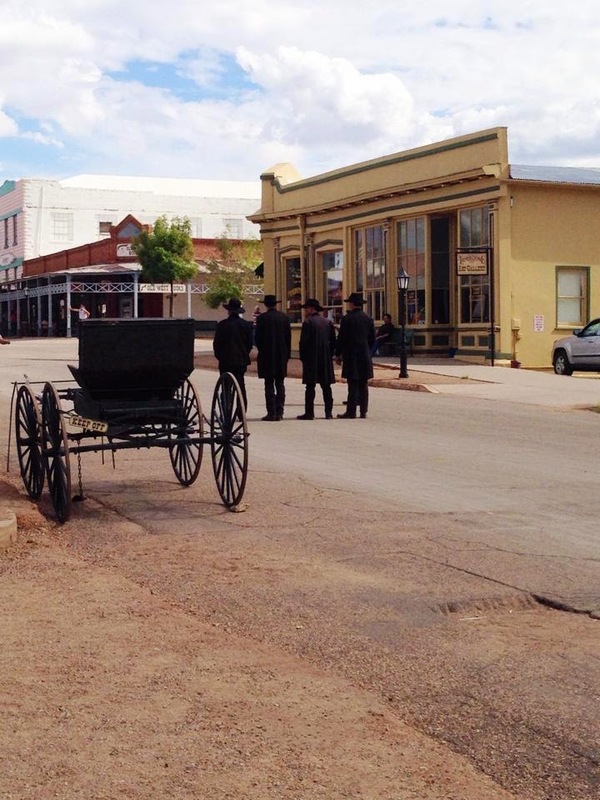 While my parents were in town last week, we figured it was time to knock a few little things off our burgeoning Arizona bucket list and drive out to Tombstone – one of the most wild, wild west little towns complete with authentic details. 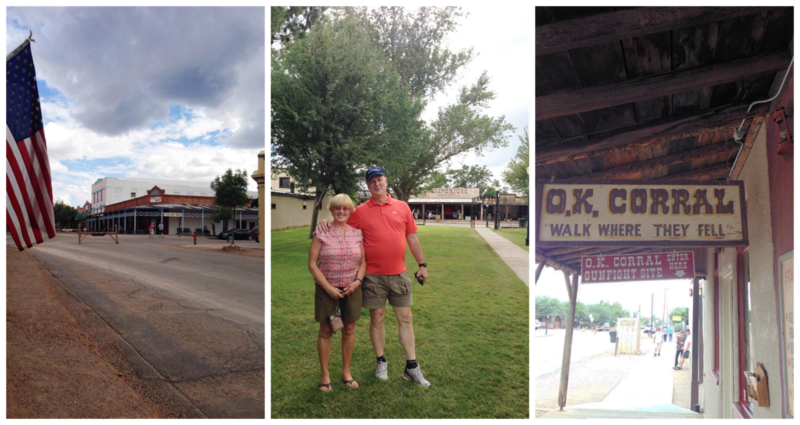 My father is a big history buff, which made it a special little trip for him, as well, and it’s only about a 30 minute car ride from Sierra Vista. In all honesty, I didn’t really know what to expect from Tombstone. It’s a very old, quaint and historically-restored little town, but it’s definitely living solely on a tourist market, which was kind of a downfall for us. I think we kind of hoped that it would be more like an historic district where we could kind of browse by ourselves and really soak in the sights, learn the history and see it for ourselves. Instead, we did about an hour walk-around, hid from the rain under the old awnings and then we called it a day. 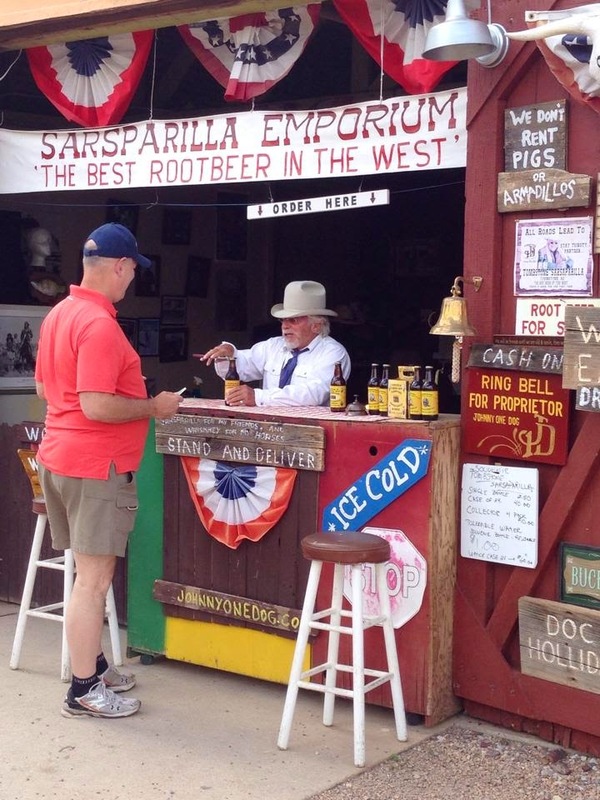 There were a lot of little touristy shops where you can buy trinkets, and they do put on a reenactment of the OK Corrall gunfight, but you have to pay and watch the show indoors. Color us crazy, but that’s not really what we had in mind, so we absconded. 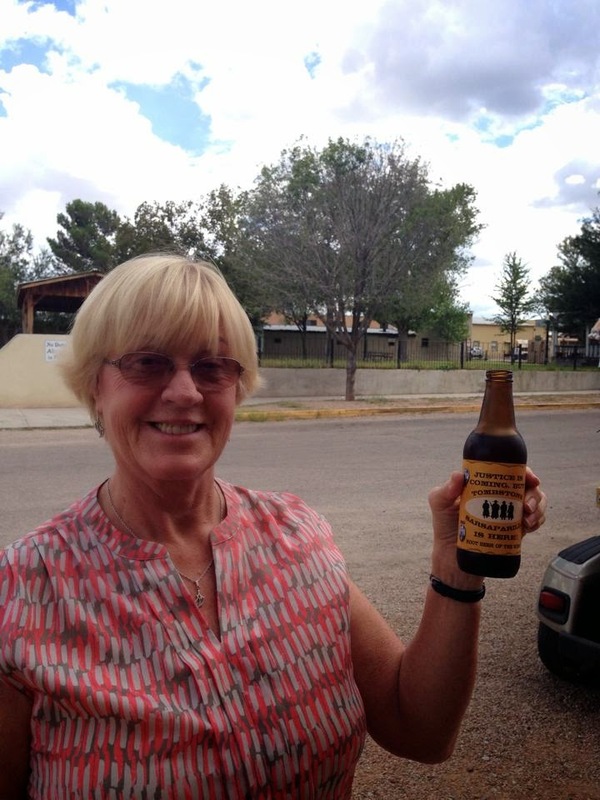 We bought ourselves the most amazing sarsaparilla instead and just enjoyed a browse through one of Arizona’s most charming (and touristy) towns.